The Center for the Advancement of Science in Space (CASIS) recently announced a Request for Proposals (RFP) for investigators seeking to access biological specimens from its Rodent Research Reference Mission-1, Applications for Spaceflight Biospecimens. The BALB/c mice for the space flight are provided by Taconic Biosciences. Taconic Biosciences has provided mice and rats for spaceflight research since 1985. 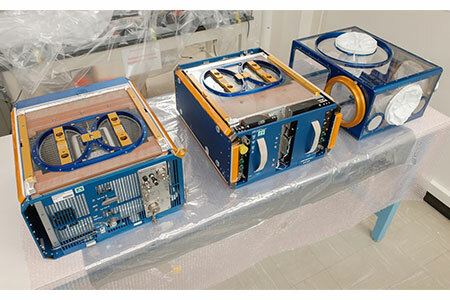 CASIS intends to send 40 BALB/c mice of two different age groups to the orbiting laboratory for comparison with age-matched ground controls as part of a reference mission. Awardees from this RFP will have the ability to evaluate ground control and spaceflight biospecimens after their return to Earth. To learn more about this RFP or to submit a proposal, visit the CASIS 2018 rodent research website. On September 20 at 2 p.m. ET, CASIS will host a webinar to provide further background on the RFP and to answer any questions from researchers. To join this webinar, you must register in advance. To learn more about rodent research in space, read the short article The Value of Space Science and Rodents on the ISS. Are you planning an experiment with BALB/c mice?